Last month marked the arrival of Wild Turkey Master Distiller Eddie Russell in Australia for the launch of Longbranch – a new release co-created between Eddie Russell and Matthew McConaughey. Two years ago, the two got together to launch a new bourbon inspired by McConaughey’s Kentucky and Texas roots. The rare small-batch Kentucky bourbon is refined with Texas Mesquite and oak charcoals – a unique method that deepens the flavor and complexity of the whiskey. The name is inspired by the friends that form the longest branches of our family trees. The meaning behind Longbranch in its simplest form, is an extended hand, inviting a friend into your family. During his time in Australia Eddie Russell told of how he invited Matthew into the Russell family – with Matthew, a bourbon lover quickly immersing himself into the distilling world. Talking of how the two came together to create Longbranch’s signature flavour, Eddie told of how he and McConaughey spent countless hours sharing notes, then perfected a unique process that combines two separate charcoal filtration methods to give Longbranch a smooth and full finish. The first filtration process uses charcoal made from American White Oak and the second uses charcoal made from Texas Mesquite wood, giving the bourbon notes of smoky sweetness. Eddie Russell with some of Australia’s best bartenders in the Northern Territory. Made with eight-year-old Wild Turkey Bourbon, Longbranch is an exceptional bourbon with a bright gold colour and aroma that is a balanced blend of vanilla and spices. Flavours of caramel, pear, and hints of citrus round out the palate. The subtle, smoky finish is buttery smooth, with notes of gentle pepper and toasted oak. During his market visit to unveil the new release, Eddie Russell hosted a series of intimate masterclasses across Sydney and Melbourne to showcase Wild Turkey’s premium portfolio, including the new bourbon. Giving local bartenders the opportunity to hear first-hand from the man behind the bottle, Eddie Russell and Wild Turkey hosted a group of the country’s finest bartenders. 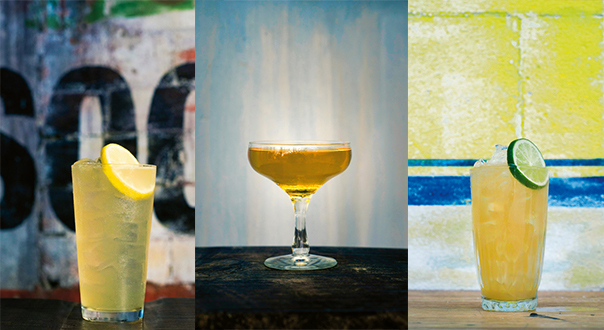 Bartenders experienced a masterclass with Eddie, inspiring their own Longbranch creations. Below, Eddie talks about Wild Turkey’s collaboration with Matthew McConaughey on Longbranch. What makes Wild Turkey unique and different to other bourbon? Eddie Russell: Wild Turkey has been making bourbon the same way for over 100 years. We’re uncompromising in our approach to quality and believe in doing things the right way. What do you mean by the slogan “real bourbon, no apologies”? 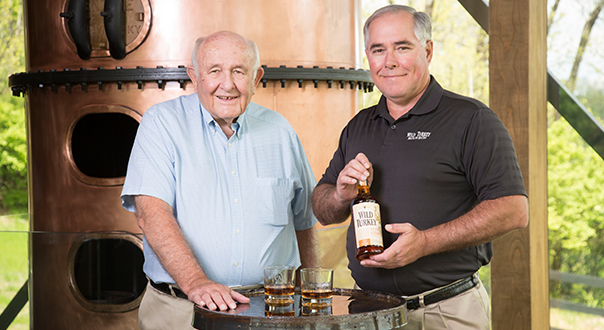 As above – Jimmy Russell never wavers but stays true to his craft. Making big bold bourbons that we are proud of. 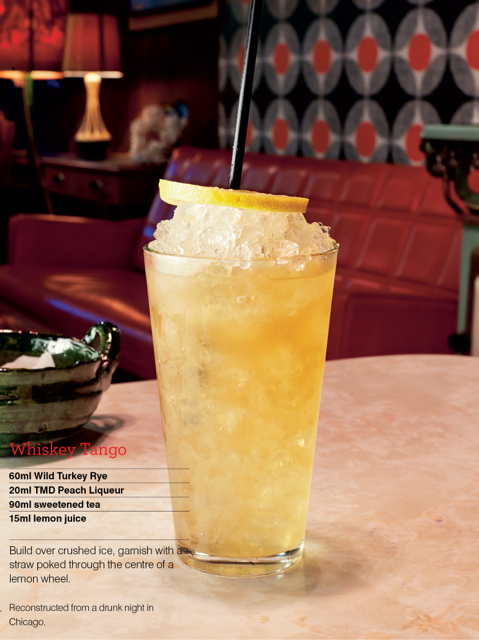 Whose idea was it to develop Wild Turkey Longbranch and how did the idea come to fruition? Matthew had always wanted to create a bourbon of his own. Two years ago, we got together to work on a new expression – one that we wanted to be among the best in the industry. The idea and the name came out of the things we had in common from family connections to our hometowns. We loved the idea of connecting the product to family so we called it Longbranch. What sets Wild Turkey Longbranch apart from other Wild Turkey expressions? Longbranch is in the super-premium bourbon segment. The rare, small batched bourbon is refined with Texas Mesquite and oak charcoals, a unique method that deepens the flavour and complexity of the whiskey. It’s also a major moment because there’s never been another name on a Wild Turkey label except Jimmy and Eddie Russell until now.